Babblings of a Mommy: Designer Sponges....Really? I'm not sure what dish sponges have to do with fashion, but I guess he wants us all to look 'fierce' scrubbing those pots and pans! 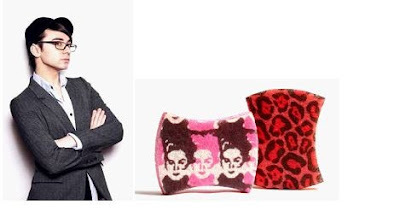 These two limited edition sponges entitled Leopard and Muse were designed by Christian and inspired by his Spring 2011 Runway Collection. Well, at least they're not going to be designer prices, and will be sold at your local supermarket this spring for just $2.59 (2pk) or $3.60 (3pk). Me? I'll be sticking to my 8pk for $1 sponges, thank you. What do you mean why? It's called: "a big fat check." That's true. But it's kinda ridiculous if you ask me.